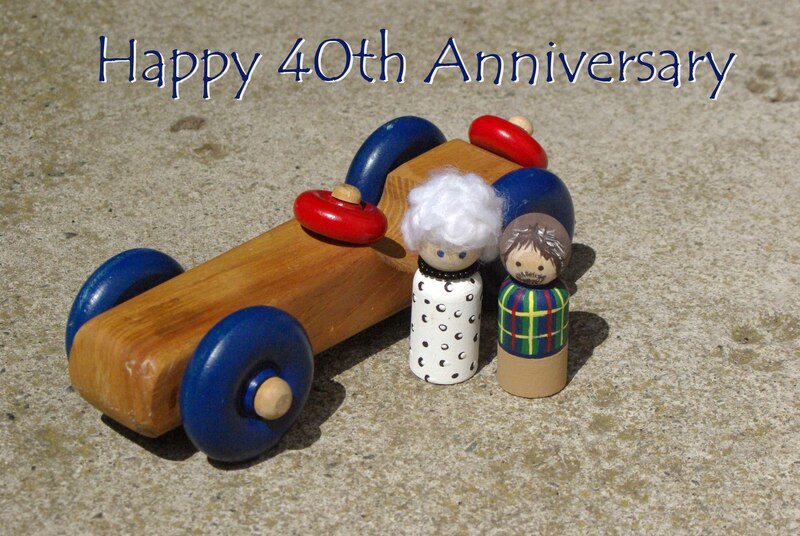 Celebrating 40 years of anything these days seems like a small miracle. Especially 40 years of marriage. I have been married for 4.5 years and that seems to be quite an accomplishment. But 40 years that’s in a whole other category. 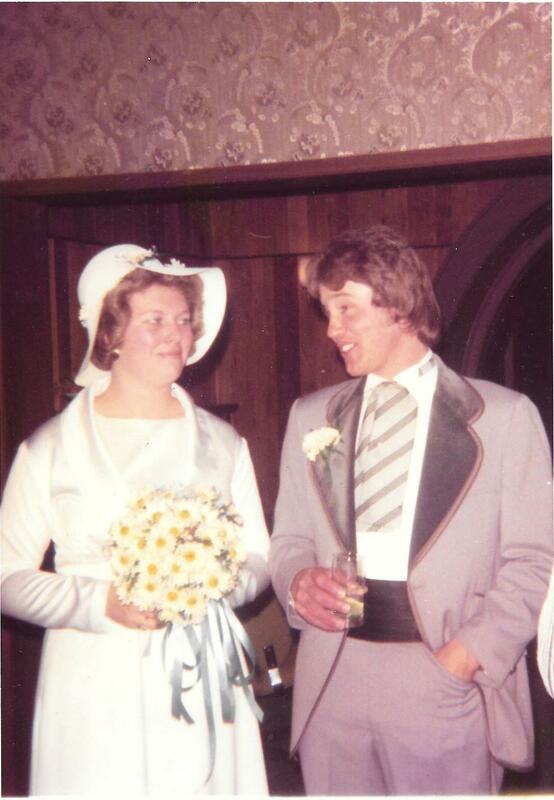 Today my parent’s are celebrating 40 years of marriage and for that they deserve a standing ovation, a parade, champagne, and I don’t even know what else because the truth is marriage is HARD. Really, really hard sometimes. Did I mention that they have FOUR children. Yet, somehow they have managed to endure all the challenges that life has thrown them TOGETHER. It’s fairly typical these days to drop a small fortune on a wedding. Don’t get me wrong it is a very big deal to commit yourself to another person, but it doesn’t have to come with a giant price tag. My mom once told me a story about shopping for wedding rings at Kmart. Believe or not you don’t need a giant rock from Tiffany’s to have a great marriage, a simple band from Kmart is the symbol of their 40 year marriage. My mom now has so much bling on her wedding ring finger I am surprised that she can lift her hand, but if you start with something plain there is a lot of room for upgrades. Growing up my parents were interchangeable. There weren’t designated mom or dad jobs. Dad cooked, did crafts, washed windows, vacuumed, shoveled snow, snuggled babies, worked outside the house, braided hair, helped with homework and did laundry. And so did my mom. My dad learned how to do ponytails and give face lifts all at the same time. I have never seen my mom iron but that’s because my dad is really good at it. I have also never seen my dad sew because my mom is a master seamstress. They each have their own domestic talents. 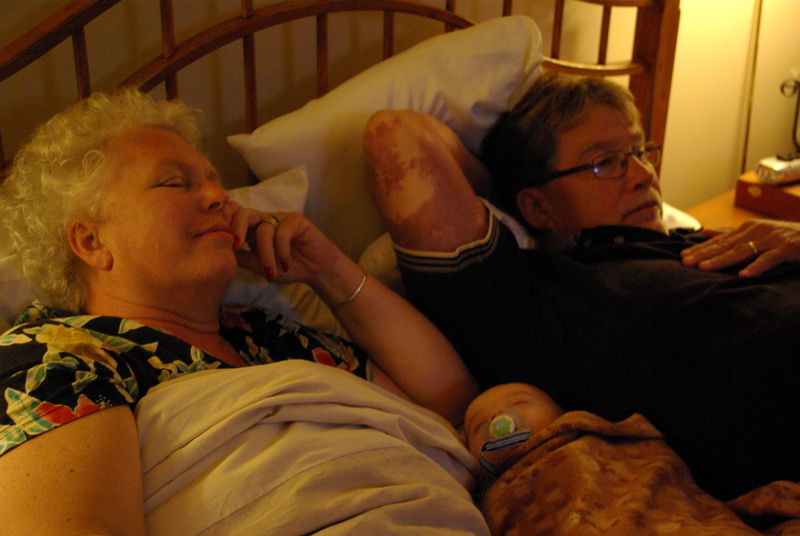 Most years my dad worked and my mom stayed home with the kids but other years it was reversed. They were able to adapt to whatever the situation needed seamlessly. I am about to divulge a pretty big family secret, wait for it…. I HAVE NEVER HEARD MY PARENTS FIGHT. Not once in the 18 years that I lived with them did I hear them fight. No slamming doors, no swearing, not even any yelling (at each other). How is that even possible? I am flabbergasted that they either never fought, or really never fought in front of the children. Maybe they were just too exhausted from raising four kids that there wasn’t time or energy to expend on arguments. I have no idea how they did it. I do however remember them kissing in the kitchen, and the four of us pushing our way between them, yelling gross. Or the bemantic (child slang for romantic) candlelight dinners that they would have. When I was out the other day buying them an anniversary card I opted for a CONGRATULATIONS card that I though was blank on the inside, only to learn later that it said “Congratulations, all your hard work has paid off. Enjoy it”. While the card was probably designed for a new job, retirement, or promotion it is equally fitting for 40 years of marriage. 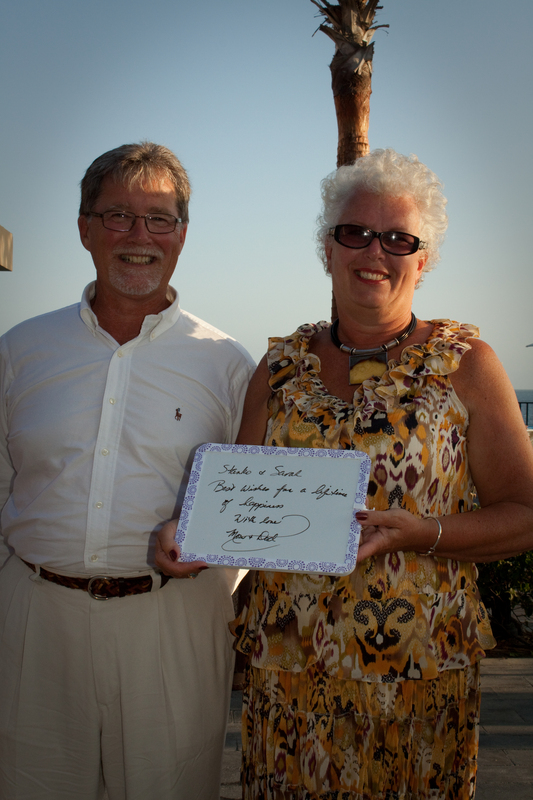 Marriage is hard work and they did it together for 40 years so congratulations; enjoy it because that is no small feat. They are both pretty excellent marriage role models, and maybe just a little too good because it’s pretty hard to replicate what they have. But I have at least another 35.5 years to get it right. Have an amazing anniversary, Love you. What a wonderful legacy. And for you to have grown up with such loving parents is such a blessing!